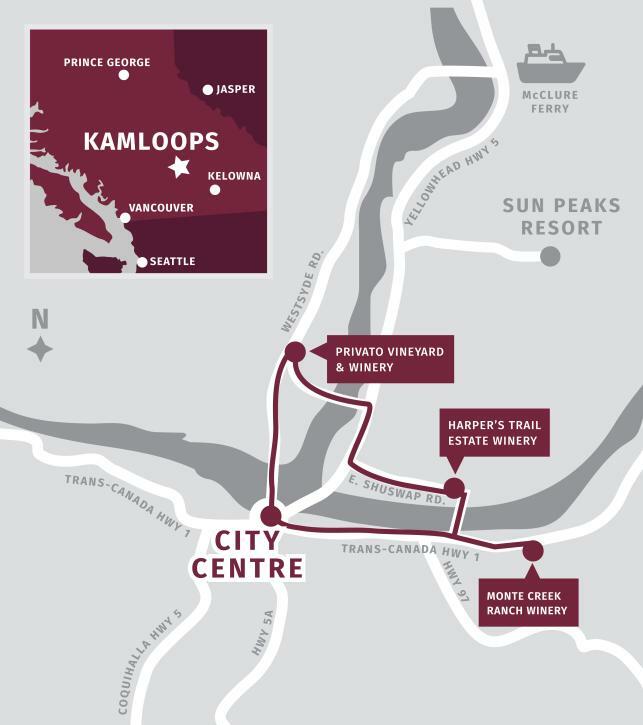 The Kamloops Wine Trail is made up of three local wineries pioneering a new wine region called The Thompson Valley Wine Region. With a pioneering spirit and a keen observation for precise growing conditions, these wineries are producing award-winning wines in a region ripe for discovery. Experience the warm hospitality and relaxed charm of our wineries. Savour the scenery and local wildlife as you sip through our tasting rooms, tour our vineyards or linger on our patios. Pack a picnic and stay a while. Whites: Riesling, Chardonnay, Pinot Gris. Reds: Pinot Noir, Cabernet Franc, Marechal Foch, Marquette.